Have a look at this gorgeous muted green dress with knife-pleated details. It’s lightweight, classy and ideally matches young ladies who want to impress everyone on the streets. Complete it with rounded sunglasses and Louis Vuitton shoulder bag with chain strap. We see a pretty sweet boho style white dress with knife-pleated detailing on sleeves and hem. This lightweight V-neck frock is what you need. Complete it with a pink shoulder strap clutch bag. 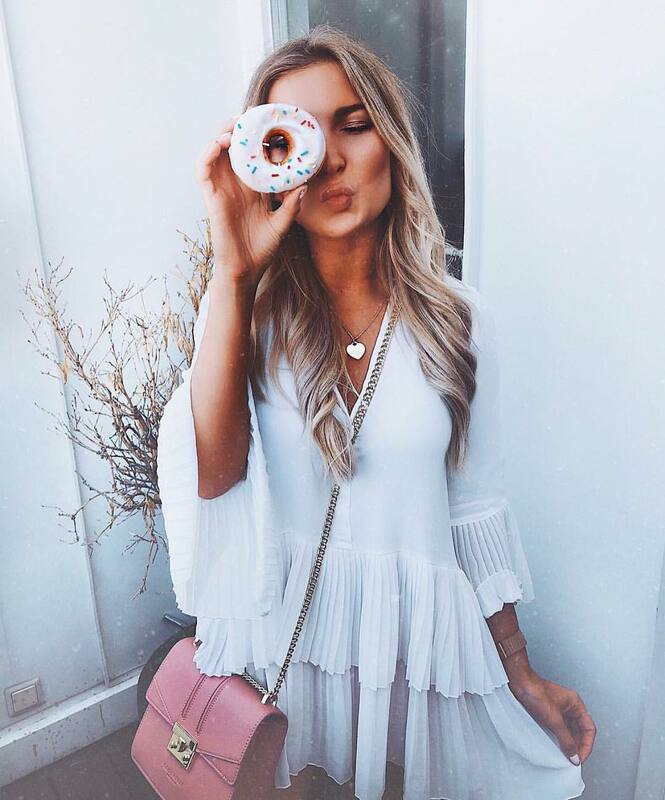 Are you a donut 🍩 fan? Go and get one! Have fun with blush dress this Summer! 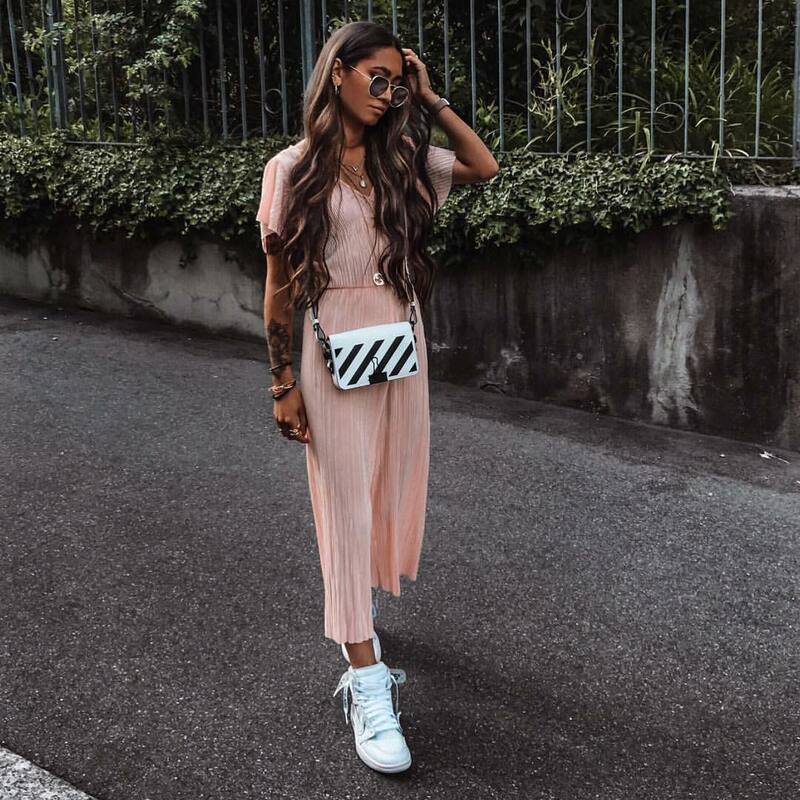 We see a beautiful young lady wearing a light pink pleated dress teamed with white high-top sneakers and 1990’s style sunglasses. Complete this combo with a white shoulder clutch bag in black stripes.